ESPN announced two more games this week, for its 2019 Sunday Night Baseball presented by Taco Bell broadcast schedule. The network announced Friday the the Chicago Cubs will host back-to-back games on May 5 and 12 live on ESPN. The first game will see the Cubs host their National League Central opponents, the St. Louis Cardinals. The second will pit the Cubs against another NL Central foe in the form of Milwaukee. Matt Vasgersian will have the call for each game. 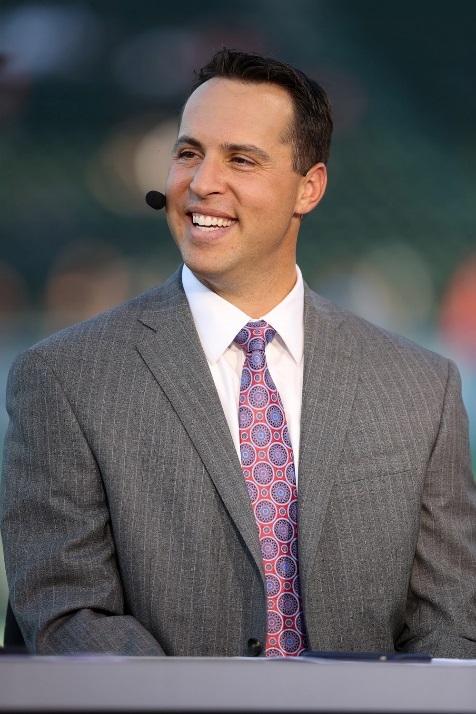 He will be joined in the booth by analysts Alex Rodriguez and Jessica Mendoza — who recently reached an agreement with ESPN on a multi-year contract extension — for additional commentary. Reporter Buster Olney will also be on hand for all of the games’ latest news and interviews. Each game will be preceded by Baseball Tonight: Sunday Night Countdown presented by Chevrolet at 6 p.m.
ESPN’s announcement of the Cubs’ SNB appearances is just the latest. The network previously announced that the Cubs will also play live under the lights on June 15 against yet another NL opponent, the Los Angeles Dodgers, in Los Angeles. The team will also visit the Pittsburgh Pirates on Aug. 18 for the 2019 MLB Little League Classic. ESPN has added two more matchups to its broadcast schedule for the 2018 Major League Baseball season, including the network’s season finale broadcast of Sunday Night Baseball presented by Taco Bell. Up first on that schedule is an inter-divisional National League matchup between the Dodgers and Cardinals on September 16. The game is certain to have major playoff implications for both teams as Los Angeles (70-61) currently sits on the cut-off line for the National League’s post season picture and as St. Louis (73-58) is also playing hard for its own spot in the post season. ESPN closes out the 2018 season of Sunday Night Baseball presented by Taco Bell September 23 as the American League and Major League Baseball leading Boston Red Sox (90-42) visit the Cleveland Indians (74-56) in an equally important matchup looking to the post season. For the Red Sox, the game (and series) will be a chance for the team to continue widening its lead over the league and conference while Cleveland will be looking to stay just inside the post season picture in the American League. The Indians currently sits 5th in the American League and atop the American League Central Division, 13 games ahead of second place Minnesota. The rotations and pitchers will be announced closer to each game’s broadcast. Matt Vasgersian will anchor both broadcasts. He will be joined in the booth by analysts Alex Rodriguez and Jessica Mendoza for additional commentary. Reporter Buster Olney will also be hon hand for all of the games’ latest news and interviews. The season finale episode of Sunday Night Baseball presented by Taco Bell will have a special start time of 7 p.m. ET. The September 16 episode will still start at 8 p.m. ET. As is the case each week, both games will be preceded by an hour-long episode of Baseball Tonight: Sunday Night Countdown presented by Chevrolet. Those who won’t be close to a television during each game can still catch the broadcasts online via the ESPN App and on the radio via ESPN Radio. The games will also be simulcast in Spanish on ESPN Deportes and ESPN Deportes Radio. As Major League Baseball’s race to the post season heats up, ESPN has announced what is certainly its own hot addition to the network’s Sunday Night Baseball presented by Taco Bell schedule. The MLB-leading Boston Red Sox will play live under the lights against theAmerican League West-leading Houston Astros Sept. 9 on ESPN’s Sunday Night Baseball presented by Taco Bell. As of August 18, the Red Sox lead Major League Baseball’s standings at 87-36, the only team in the league so far this season to reach and even surpass the 80-win mark. That puts the Red Sox both at the top of the league and the top of the American League East. The Astros currently lead the American League West at 74-49, tying them with the Oakland Athletics for the division’s top spot. The teams are now tied for third in the American League, too. Since the game is still so far out, no rotations or pitchers have been announced for the key showdown.Matt Vasgersian will anchor the broadcast. 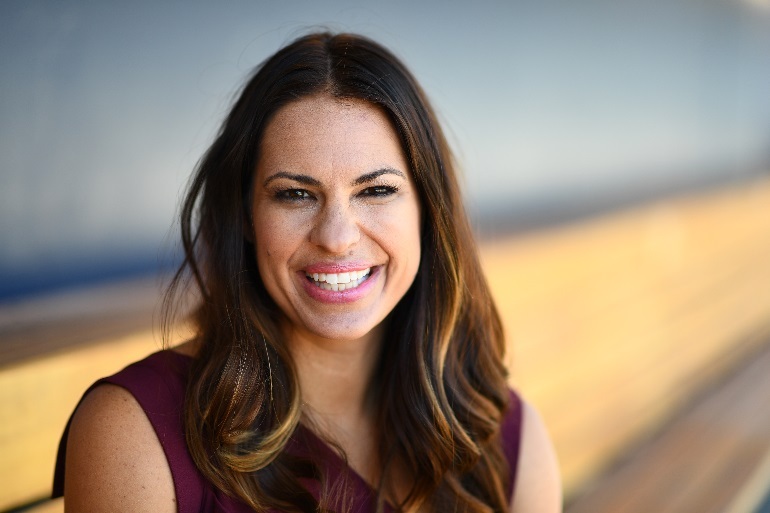 he will be joined by analysts Alex Rodriguez and Jessica Mendoza for additional commentary while rpoerter Buster Olney will have all of the game’s latest news and interviews. Jon Sciambi will anchor the game’s broadcast on ESPN Radio. He will be joined by analyst Chris Singleton for additional commentary. ESPN’s Sunday Night Baseball presented by Taco Bell is preceded each week by Baseball Tonight: Sunday Night Countdown presented by Chevrolet at 7 p.m. ET. Karl Ravech anchors with additional commentary from analysts Mark Teixeira, David Ross and Tim Kurkjian. ESPN Deportes will broadcast the teams’ showdown in Spanish for the game’s Spanish-speaking audiences. Audiences who won’t be near a television on Sept. 9 can still catch the game online via the ESPN app. In just a few hours, the Houston Astros and Cleveland Indians will finish their three-game weekend series, and the series’ rubber match will be broadcast live tonight on ESPN. The American League Central-leading Indians (22 – 22) take on the American League West-leading (and defending World Series Champion) Houston Astros (29 – 18) in the closer of the teams’ series as part of ESPN’s Sunday Night Baseball presented by Taco Bell. Broadcast of tonight’s game is scheduled to start at 8 p.m.
Matt Vasgersian will have the call for tonight’s game. He will be joined in the booth by analysts Jessica Mendoza and Alex Rodriguez for additional commentary. Reporter Buster Olney will be on hand for all of the latest in-game news and interviews. Tonight’s broadcast will be preceded by Baseball Tonight: Sunday Night Countdown presented by Chevrolet. The pre-game broadcast starts at 7 p.m. ET on ESPN. Carlos Carrasco (5 – 2 so far on the season) is expected to get the start for Cleveland. His last time taking the mound was May 14 against Detroit. He took the loss in that 6 – 3 loss to the Tigers, allowing 3 runs on 6 hits, 3 earned runs, 1 home run, 2 walks (one being intentional), and four strikeouts. While those numbers are not bad, Carrasco will be looking to get a fresh start tonight when he takes the mound for the Indians. Lance McCullers, Jr. (5-2) is expected to start for Houston. He was also last on the mound May 14. In his case, his last game was against the Angels, who won that game 2 – 1 against the Astros. McCullers allowed 2 runs on 4 hits over 6 innings in that game, as well as 2 earned runs and 2 walks. He struck out 6 batters over that time. Since he has had time to rest up, he will be looking for his own fresh start tonight. Tonight’s game is another one that could go either way in looking at the numbers. the Astros have played far better on the road so far this season, going 16 – 7 on the road while the team has been more tepid at home, going 13 – 11. The Indians meanwhile have been better at home (13 – 9) than on the road (9 – 13). Houston has gone 7 – 3 in its last 10 games while Cleveland has gone 5 – 5 in its last 10 games, with its most recent being a win against Houston. More information on tonight’s broadcast and all of ESPN’s Sunday Night Baseball presented by Taco Bell games is available online now along with all of the latest MLB headlines at http://www.espn.com/mlb. ESPN has added another key rivalry game to its Sunday Night Baseball broadcast schedule. Network officials announced Thursday that the Chicago Cubs and St. Louis Cardinals will face off Sunday, June 17 live on Sunday Night Baseball presented by Taco Bell. The game will be the closer in the teams’ 3-game weekend series, with first pitch set for 8:15 p.m. ET. Matt Vasgersian will have the call for the game. He will be joined in the booth by analysts Alex Rodriguez and Jessica Mendoza for additional commentary. Reporter Buster Olney will be on-field with all of the latest in-game news and interviews. The game’s broadcast will be preceded by Baseball Tonight: Sunday Night Countdown presented by Chevrolet at 7 p.m. ET. Since the game (and series) is so far out, starting lineup have not yet been announced. Currently, St. Louis sits third in the National League Central standings with the Cubs close behind at 23 – 18. More information on the teams’ June 17 matchup is available online along with all of the latest Major League Baseball headlines at http://www.espn.com/mlb.